Places of worship, especially non-Islamic ones, are one of the most controversial issues in Indonesia. The dispute began last August. Complaints stem from the lack of permits for the use of residential housing for religious purposes. 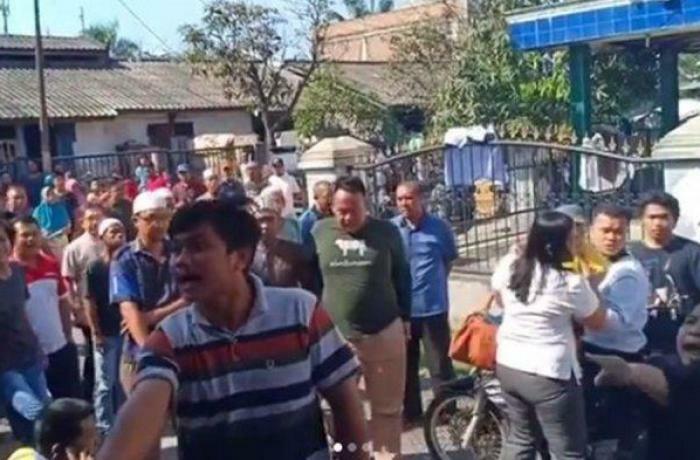 Jakarta (AsiaNews) – The local Synod of Churches of Indonesia (MPH-PGIW) has condemned the latest "episode of intolerance" against a Protestant community in Medan Labuan, North Sumatra (Sumatera) province. 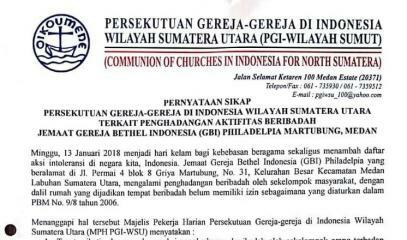 Three days ago, local Muslims (picture 1) staged a protest that prevented the members of the Bethel Church of Indonesia of Philadelphia (GBI), in Martubung district, from entering a house of prayer. The authorities claim that the complaint stems from the lack of government permits for the place of worship. Protestant leaders call for changes to the legislation and complain about delays in getting the right papers. At present, building places of worship, especially by non-Muslims, is one of the most controversial issues in Indonesia, the most populous Muslim country in the world, and touches the principle of freedom of religion. The Synod issued a statement yesterday (picture 2) signed by its president, Rev Darwis Manurung, and general secretary, Rev Hotma Hutasoit. The organisation says it is "very concerned" and has called on the police to "investigate the case, to find out the reasons" the incident. What happened "shows that the right to religious practice is easily hindered,” the Synod noted. “The fact that the house of prayer has not yet obtained all the papers should not be an obstacle to the maintenance of the social order". The local office of the Ministry of Religious Affairs in Medan has excluded the possibility that the motive could be sectarian. “The house used for prayer is owned by Pastor Jans Frasman Saragih and is designed for residential use,” said Al Ahyu, head of the local government agency, the day after the protests. “Locals did not erect barricades to prevent Christians from praying, but they demonstrated because they did not have the required papers." The dispute between the two communities began last August with the first public protests. "Two months ago, local residents asked Rev Saragih to stop his services, but he refused,” Al Ahyu explained. “At the end of November, our Office received the first complaints and sent a letter to the pastor, asking him to stop his activities." "On 6 December, all the parties met and agreed to allow the use of the house of prayer until the end of the Christmas holidays. The protests last Sunday, 13 January, occurred because the pastor did not respect his commitment,” the official added. 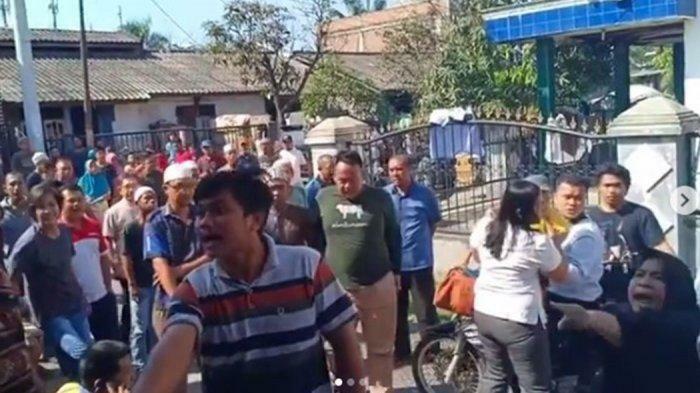 Superintendent Tatan, a spokesman for the North Sumatra police, said that incident included "50 demonstrators” who were “annoyed by the pastor's reluctance" to stop. According to the police, the services disturb the public peace during the weekend. However, for Eko Kuntadhi, a social media analyst, there is "a link between the protests in Medan and the presidential elections next April". On his blog, the expert notes that protests have the goal of sparking discontent among conservative Christians against President Joko Widodo, who is running for his second term against Islamist parties. 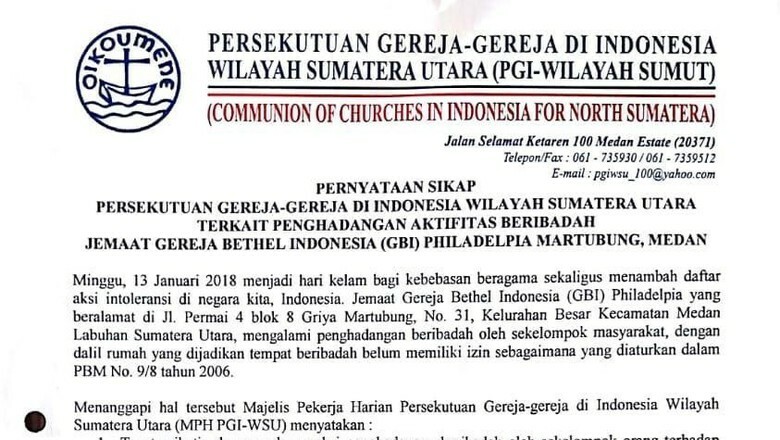 "Widodo's rivals expect Christians to hold back their support,” Kuntadhi says, “and accuse the administration of failing to protect minorities".